Inxhibit – A Minimal WordPress Theme for People Who Make Things. 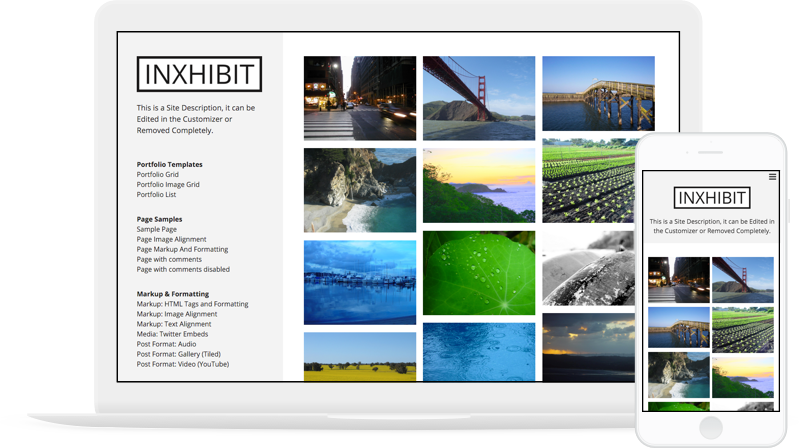 Inxhibit is a responsive WordPress theme perfect for showcasing your work. 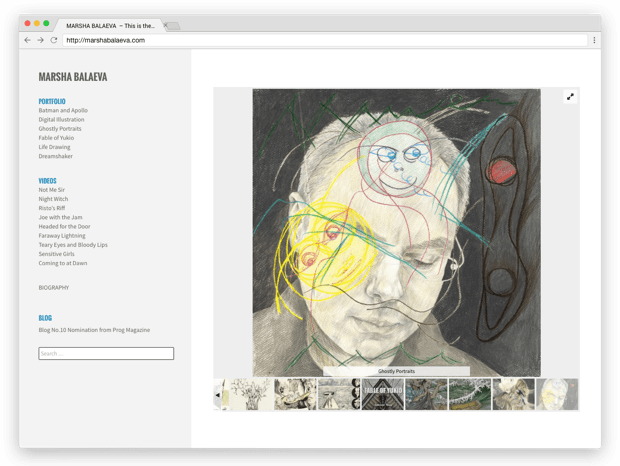 The theme was inspired by the Indexhibit CMS, but is powered by WordPress, making it quick and easy to install and customise. Responsive Design – Theme design automatically adapts to desktop screens, tablets, and mobile phones. Custom Menus – Create up to four custom menus, each can be displayed with or without a heading. Fonts – Select from a range of Google fonts. Independent choice of font for headers and body text. Colour – Change the background colour of the sidebar and content area, and also the text and link colours. Personalise – Upload your own header logo. You can also include an optional site description. Widgetized Sidebar – Customise your sidebar with WordPress widgets to display categories, tags, search, etc. Social Links – Add links to Twitter, Facebook, Instagram, YouTube, and other popular social networks. Templates – Display your portfolio as a grid with titles, in masonry format without titles, or as a blog-like list. Front Page – Choose to display your latest blog posts, any static page, or one of the portfolio templates. 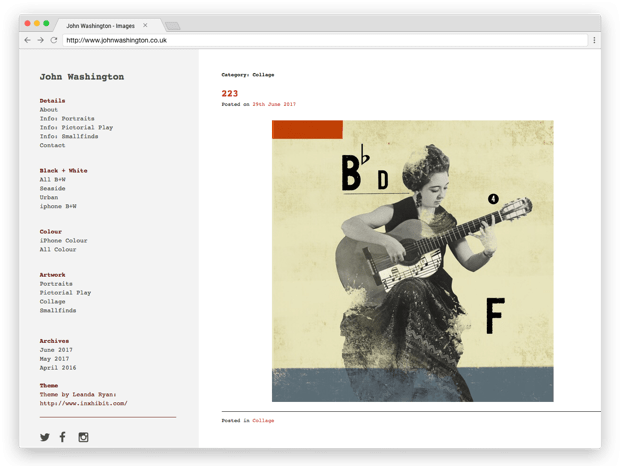 Background Images – Add a background image to the sidebar, and one to the content area. Browser Support – Inxhibit is responsive and is designed to work with all modern browsers. Help & Support – Friendly support and online documentaion just in case you need help getting started. Support and theme updates require a yearly licence renewal. After one year, licence keys may be renewed at a 30% discount from the purchase price of a new licence. View licence FAQ for more details. The Inxhibit theme will continue to work without an active licence. Real-world examples of the Inxhibit theme in use.